Posted on 04/25/2017 at 9:17 am. 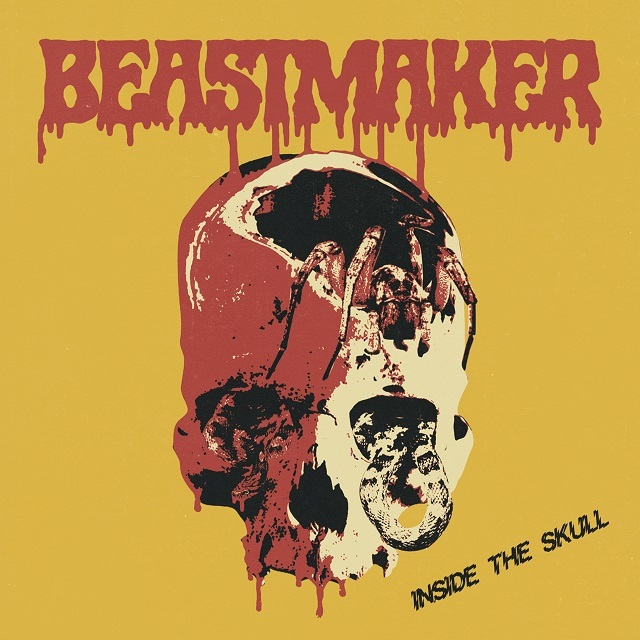 Fresno, California’s occult doom trio Beastmaker will bring their macabre sonic arts to the music loving masses via their new album, ‘Inside The Skull‘, on May 19th. The Rise Above Records release promises to revive the halcyon days of proto-doom and early vintage rock. Today the artwork and track listing for the album have been revealed along with an official video, ‘Nature Of The Damned‘. Recorded and produced by the band themselves, in their own self-built studio, this promises to be an album of fundamental heaviness. 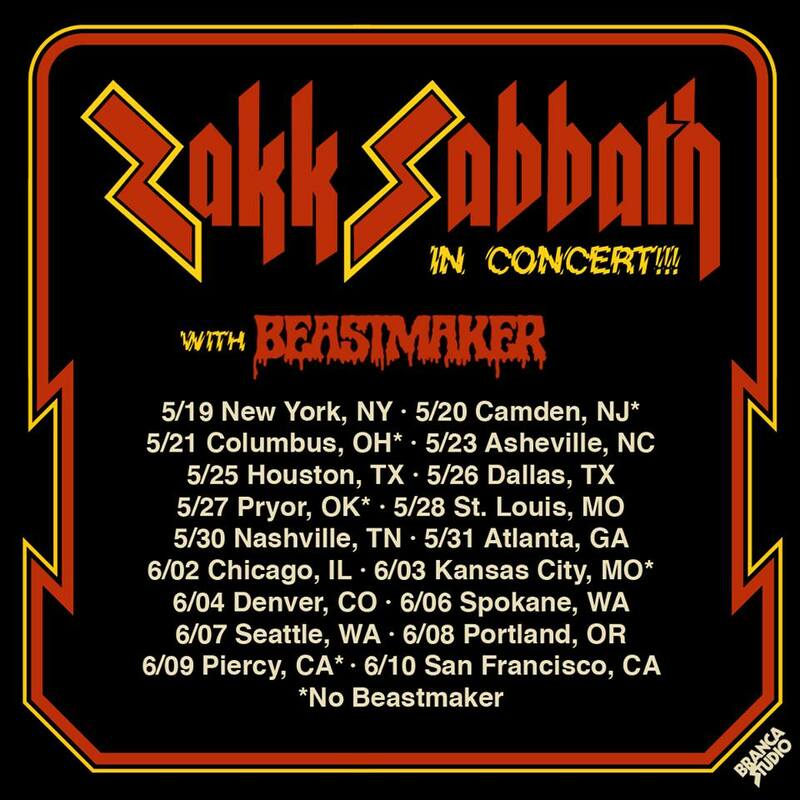 Once Inside The Skull is released, the band will be hitting the road in the US with Zakk Wylde‘s Black Sabbath tribute act, Zakk Sabbath. Tour dates can be found below. Posted on 04/23/2017 at 3:09 pm. What started as a two member project at some point in 2010 (or before), has since become a four member force. 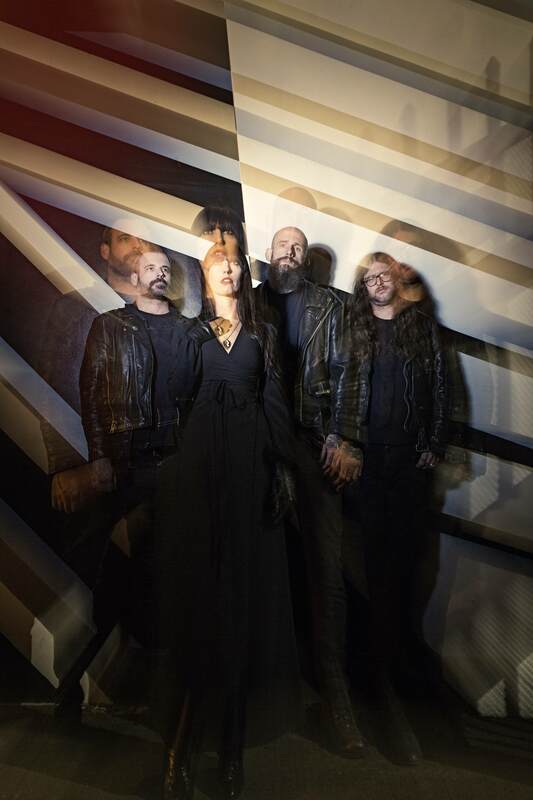 Core members Sera and J. began this journey as a cult/Slavic revival type of project using all things dark and ethereal and forging their own sound of plush harmonies and foreboding imagery in their compositions that keep fans coming back for more and dragging their friends along for the ride. 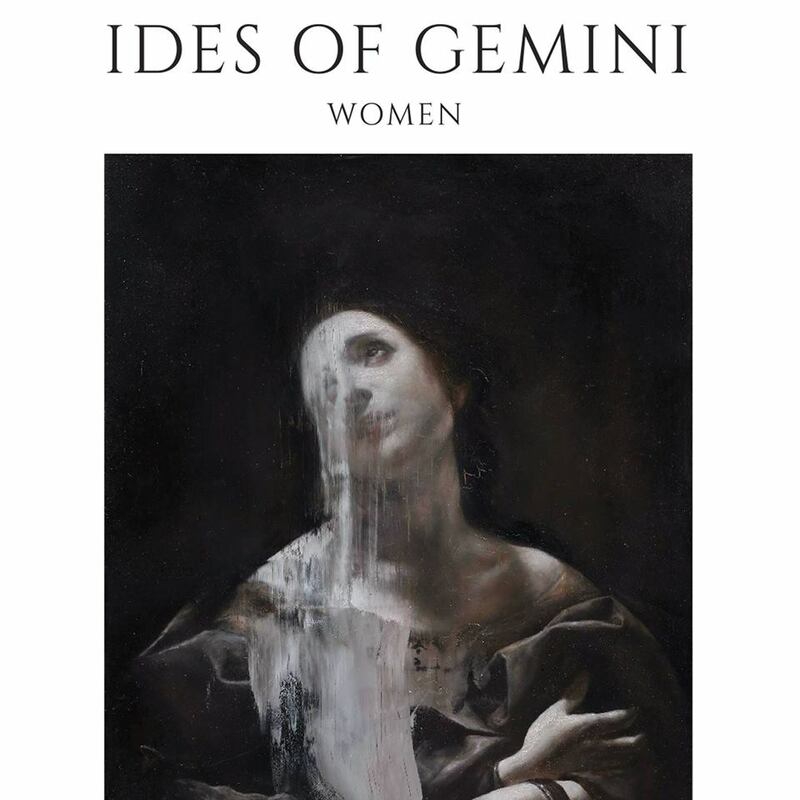 With this new line-up and fifth release, IDES OF GEMINI are ready to take us to the next-level as they serve up 10 tracks, each about a woman as the title implies. ‘Mother Kiev’ comes out of the gate fast and strong showing this new line-up is serious and ready to prove it. 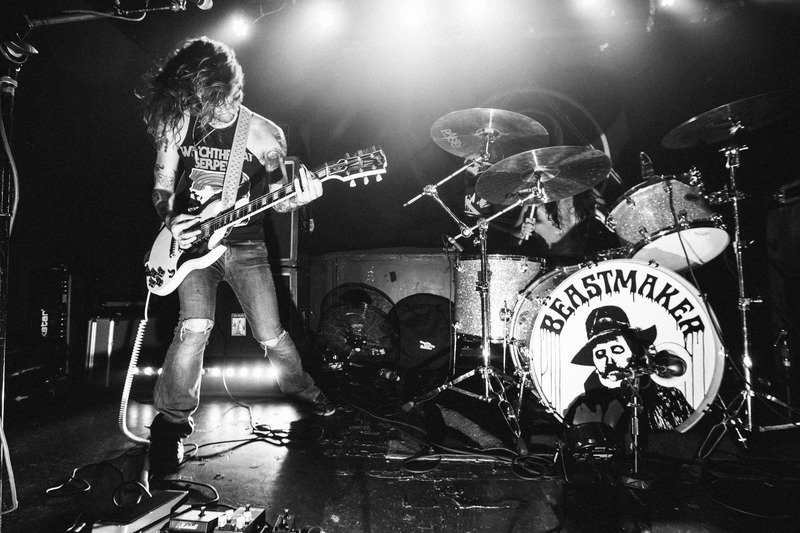 Power chords running amock and a drumline that takes full control of the body and that bass line, the perfect accent. Sera’s voice has never sounded better and J.’s chops are as biting as you could expect. ‘The Rose’ has a more tempered pace and Sera’s voice writhes around your head with her signature crescendo and lilt all the way through the slide out ending. ‘The Dancer’ is more staccato in pace and the choppy guitar lines flow seamlessly. ‘Raft Of Medusa’ has a lone guitar intro and then the band jumps up and rolls through this tale, not afraid to go all out with this pace that pulls you forth without resistance. ‘Heroine’s descent’ is slower and darker than we have been to this point on the record and lets the IDES OF GEMINI legacy of plush vocals shrouded in shadows continue with an even bigger sound than we have witnessed on any previous release while keeping that thicker guitar presence brought to this album permeate with an intensity that completes the recipe that J. and Sera have been perfection for the last seven years plus. ‘Swan Diver’ / ‘Zohra’ / ‘She Has A Secret’ and’Queen Of New Orleans’ are each strong compositions on their own and continue the stellar performance from EACH member to make this record the best to come yet from the IDES OF GEMINI camp and whether intentional as a concept or not, they fit perfectly together as a whole and show what focus and perseverance can achieve. Standout track on this record, for ME, is ‘The Last Siren’. From the slow fade in of the thundering drum/bass combo to the jangly yet biting guitar line, complete with staggered fills, I found myself moving with involuntarily and turning it up louder and louder while feeling wrapped in that soaring voice and welcoming and savoring each high note and low alike. This could and SHOULD be the one to break them out to the rest of the world and I encourage to do your part; BUY the record, support them when they make it to your part of the world and tell anybody you know to do the same. Once they hear this, they will have to agree it is a must-have for 2017!! Posted on 04/03/2017 at 12:50 pm.